A wonderful addition to your salad patch, a most unusual variety, almost too pretty and can be used for inter planting in the flower border. French feuille de chene (oak leaf) red lettuce also available in green and white varieties. 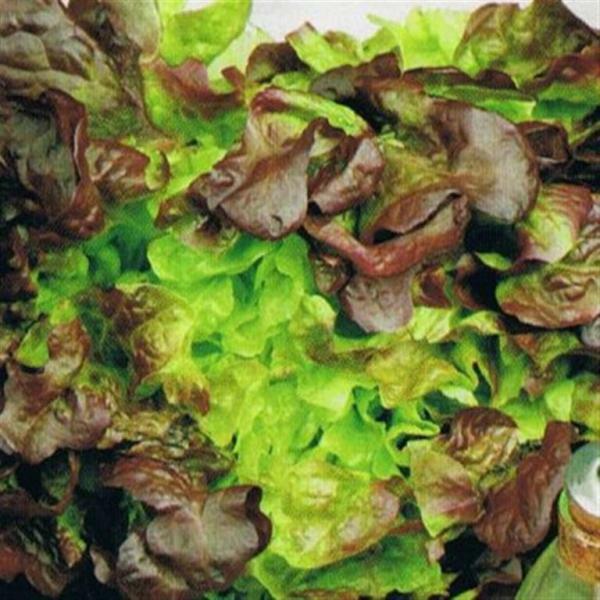 In our view, one of the finest loose leaf lettuce varieties. Simple to grow, this red leaved with yellow green interior variety is normally sown in spring through summer for an continual harvest We grow this all through the year with protection in winter. The gorgeous frilly leaves can be individually picked as a cut and come again salad ingredient or for garnish. This packet contains enough seed to produce enough lettuce for the whole family , so sow small quantities regularly for an all year round supply.